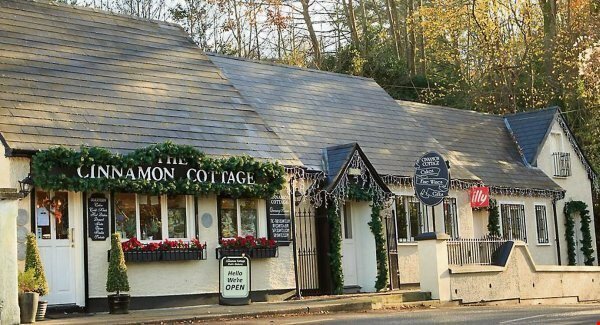 Find out the latest news from the Cinnamon Cottage, check out and like our Facebook, Twitter and Instagram pages – @cinnamoncottage! Call or email us to discuss our catering menu. We are happy to advise you on portion sizes, a choice of delicious sides, salads or desserts to accompany your meal plus the perfect wine pairing. We specialise in homemade produced and crafted foods using the freshest, local, natural ingredients available. At The Cinnamon Cottage, our dedicated team has created a variety of nutritious meals using fresh, seasonal ingredients sourced from local producers and quality suppliers. Our homemade products contain no artificial additives, no artificial colours and are GMO free. Using the finest, freshest local and exotic ingredients in our cakes and baking them in the traditional way. We believe in reflecting the seasons through our cakes and we love being a part of our customers celebrations since 1993.We hope you’ll enjoy our cakes and get as much pleasure from eating them as have have in baking them. Monastery Road, Rochestown, Co. Cork.